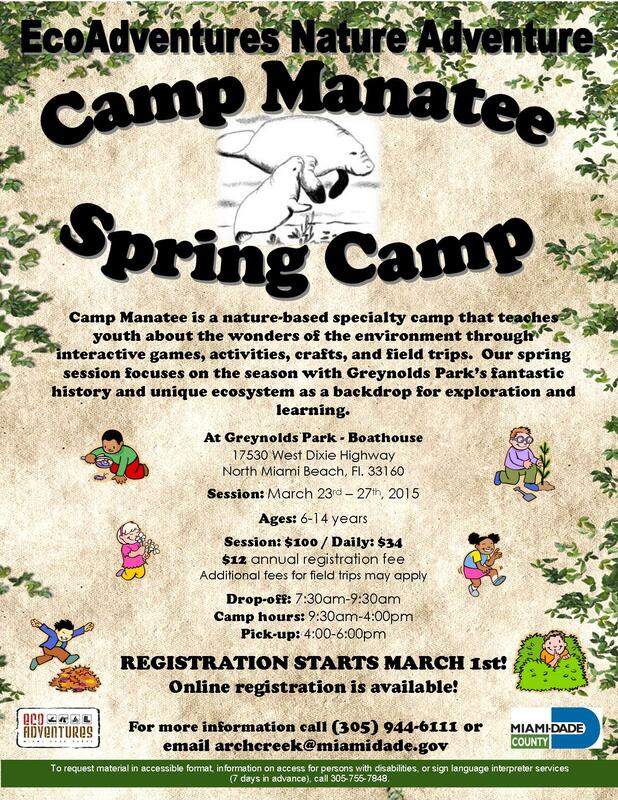 Camp Manatee – Spring Camp – Registration! Just a reminder that Spring Camp is the week of March 12th – March 16th and it will take place at Greynolds Park Boathouse. Space is limited, so don’t wait till the last minute to register. If you are interested in having your child attend please contact us to arrange a time to register. The schedule should be posted on the blog page (www.archcreek.wordpress.com/camp) shortly. We are currently finalizing some activities and trips. We look forward to seeing you and your camper. 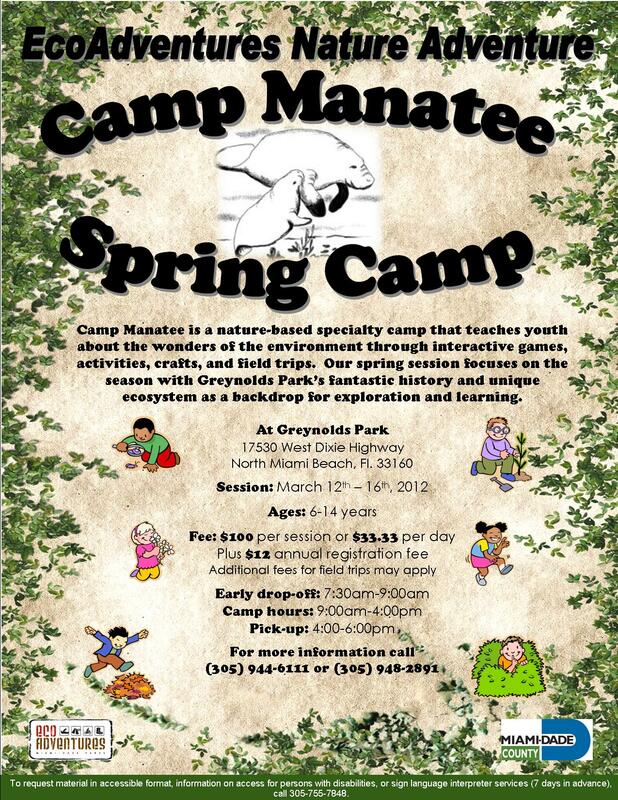 Camp Manatee – Spring Session will be held March 14th-18th, 2011 at Arch Creek Park. It will be a fun filled week of adventures and activities. We have planned 2 field trips, one to Gumbo Limbo Nature Center and the other we will be canoeing on the Oleta River from Greynolds Park. We are currently finalizing the schedule for the Spring Session and it will be posted shortly. Spread the word! 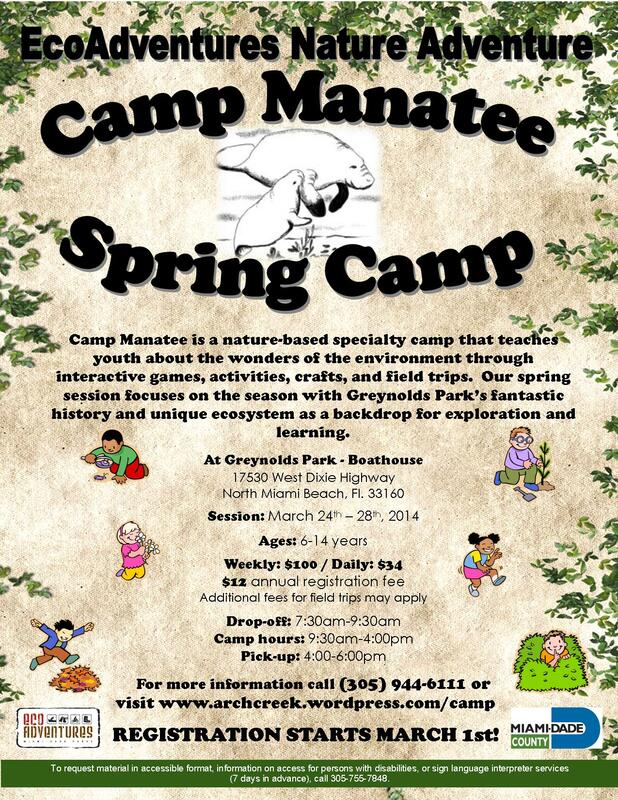 You can find more information on Camp Manatee on the “Camp” page.